“Anachronistic” is the word commonly used. Belonging to a period other than portrayed. This was the “revelation” that made media headlines in 2014—new research on camel remains proved that the biblical period of the patriarchs (Abraham, Isaac, Jacob) was anachronistic—false. Why? Because the Bible describes the use of domesticated camels. 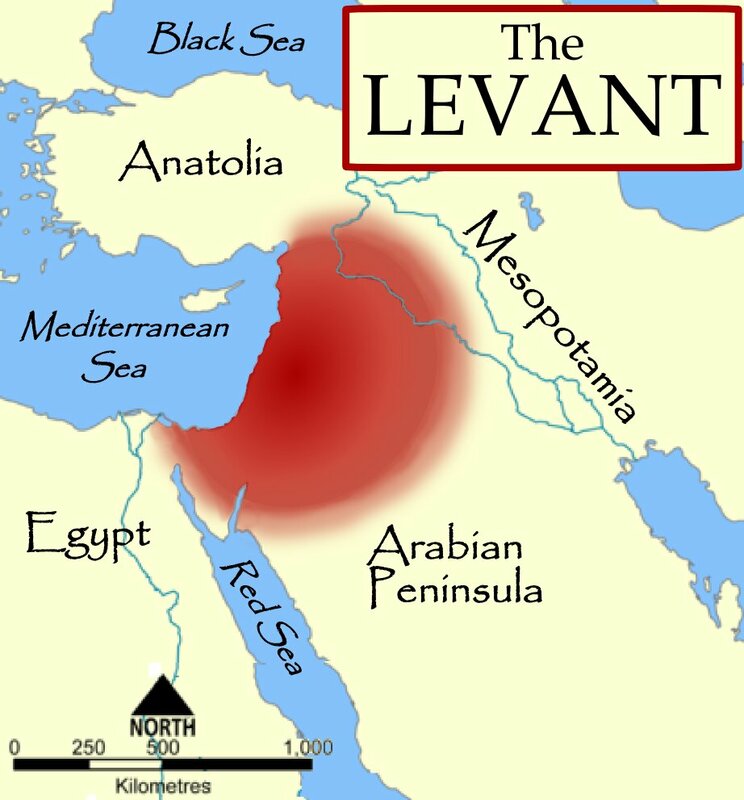 The new research, conducted by Prof. Erez Ben-Yosef and Dr. Lidar Sapir-Hen of Tel Aviv University (tau), show that camels in the Levant region (essentially the western Middle East, including Israel—see map below) were not domesticated until c. 930 b.c.e., 1,000 years after the time period in which the biblical account portrays them. How did Ben-Yosef and Sapir-Hen come to their conclusions? Is their assessment accurate? And do camels—or the lack of them—prove the Bible wrong? Now Dr. Erez Ben-Yosef and Dr. Lidar Sapir-Hen of Tel Aviv University’s Department of Archaeology and Near Eastern Cultures have used radiocarbon dating to pinpoint the moment when domesticated camels arrived in the southern Levant, pushing the estimate from the 12th to the ninth century b.c.e. The findings, published recently in the journal Tel Aviv, further emphasize the disagreements between biblical texts and verifiable history, and define a turning point in Israel’s engagement with the rest of the world. … In addition to challenging the Bible’s historicity, this anachronism is direct proof that the text was compiled well after the events it describes. How is this determined? Zooarchaeologists are able to tell, from skeletal evidence, whether or not a camel has been domesticated. This is determined by the way they were buried, gender profiles and stress lesions on bones. The earliest-dated domestic camels found in Israel were excavated in the Aravah Valley, a large desert basin in the southeast, bordering Jordan. The general belief is that these domesticated camels were first introduced into Israel through this natural gateway leading from the Arabian Peninsula. This regional transformation—adopting camels as a prime means of transportation—is believed by the excavators to be related to Pharaoh Shoshenq i’s invasion of Israel during this time period. (This invasion by Shoshenq, or Shishak, is well attested to in the Bible and has been widely corroborated by archaeology.) The Egyptians had already domesticated camels sometime prior. So how do these findings “emphasize the disagreements between biblical texts and verifiable history”? The primary problem scholars have about this beast and the biblical text is that two of the early patriarchs—Abraham and Jacob—are described as owning them. Biblical chronology places these patriarchs around the 19th century b.c.e. Based on the discoveries in the Aravah Valley, camels weren’t supposed to have been in Canaan for another 1,000 years. So, as per tau’s release, “this anachronism is direct proof that the text was compiled well after the events it describes” (emphasis added). Is it? This is a sweeping conclusion. No scriptures were used to show this outright biblical “error.” We’ll look at what the Bible actually says. But first, let’s establish a little more about what ancient history shows. Pinpointing camel domestication in the Levant is only a small slice of the story. 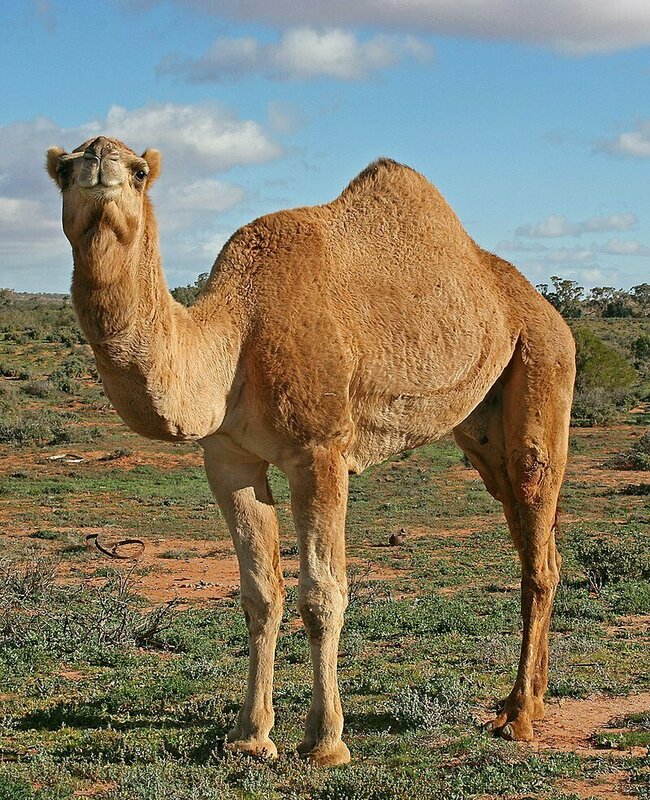 Actually, it is well known that camels have been domesticated since c. 2500 b.c.e., if not earlier. These areas of domestication include southern Arabia, parts of Mesopotamia, and south and central Asia. Numerous discoveries have been made confirming this early domestication of camels, both of the single-humped Dromedary and twin-humped Bactrian species. Some specific examples: A c. 2500 b.c.e. Sumerian plaque, from Eshnunna, shows an image of a camel with a rider. Another source from nearby Nippur dates to the 18th century b.c.e. and describes milking a camel. This specific text is known to have derived from one dating to the millennium prior. Another 21st century b.c.e. Nippur text bears possible reference to camel transport. What do these discoveries have in common? They are all specifically from southern Iraq, within the region of Mesopotamia. 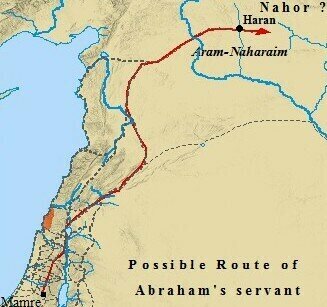 Further discoveries exist for other locations, but we list these because this area is precisely where Abraham was from. 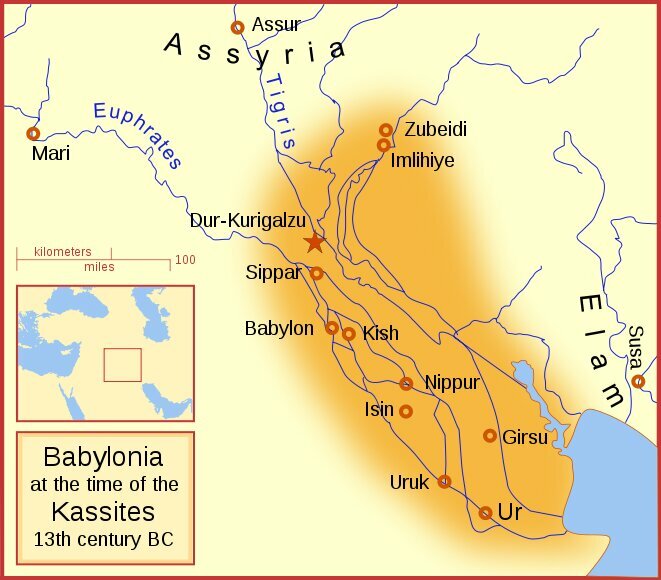 Map showing the city of Ur (bottom right), within the Mesopotamian territory of Babylonia (now modern-day Iraq). There were several points “conveniently” left out when Ben-Yosef and Sapir-Hen’s research made headlines. Abraham was not native to the land of Canaan—he was a prominent individual in a land where camels had already long been domesticated. Abraham was from the Mesopotamian city of Ur, located in the southeastern part of what is now modern-day Iraq (Genesis 11:27-31). It would not have been unusual for him or his family to include camels among their herds. And it would not have been impossible for him to bring such a camel herd to Canaan—indeed, it would only have been logical, for such a long desert-edge journey. Further, camels actually only play a very small role in the early patriarchal history. Whenever they are mentioned (among Abraham’s or Jacob’s herds), they are listed either last or near-to-last among their possessions (Genesis 12:16; 30:43; 32:7; 32:14-15). This emphasizes their lack of importance. Really, the only detailed early biblical reference to camels is found in Genesis 24. This passage describes a long desert journey taken by Abraham’s servant in order to find a wife for Isaac. Ten camels were taken for the journey. The destination? The city of Nahor, in Mesopotamia—again, a land in which camels had already long been domesticated. And again, a logical choice of animal for a long-distance, desert-edge journey. Thus, in total, camels play an extremely minor role in early biblical history. Alongside the above chapter, camels are only given a brief mention in seven other verses of Genesis. What about camels in Egypt? Genesis 12:16 describes Abraham (then Abram) receiving camels from the Pharaoh, among other gifts. Again, researchers accept evidence of domesticated camels in Egypt, prior to Canaan. But this early? A petroglyph (rock carving) has been discovered in Upper Egypt showing a camel being led by a man with a rope. This carving dates to c. 23rd century b.c.e. A kneeling Egyptian camel figurine, with a container-mold on its back, is dated to the Pre-Dynastic period—c. 3000 b.c.e., or even earlier. Additional ancillary evidence includes camel bones and hair—a camel hair rope was found in Egypt dating to c. 2600 b.c.e. Certainly, the evidence shows that camels had long been domesticated in Egypt. Michael Ripinsky, in an article titled “The Camel in Dynastic Egypt,”wrote that he believes the domesticated camel was first introduced to Egypt before the Dynastic period—again, 3000 b.c.e. or earlier. His conclusions can be found here. Petroglyph depicting man leading a camel, c. 23rd century B.C.E. So what, now, of domestic camels in the Levant? Was it really impossible for them to be present in Israel and the wider Levant before 930 b.c.e.? Of course not. Ben-Yosef and Sapir-Hen’s research was based primarily on excavations at the copper mines in the Aravah Valley. Because they did not conclusively find evidence of domesticated camel remains earlier than 930 b.c.e., they concluded that camels were not domesticated any earlier than this for the wide Levantine region. This sweeping, sensational conclusion blows the Aravah Valley findings completely out of proportion. To posit that there could not have been any domesticated camels within Canaan or the Levant—that the Bible is an outright fake, based primarily on findings from limited excavations in a limited area—is absurd. Evidence shows that camels had been domesticated in surrounding regions for up to 2,000 years prior. It is irrational to conclude that over such a long time period, no domesticated camel or camel herd was ever brought into the Levant. Long-distance trade had already been established. The domestication of these animals in other locations would have been well known to people of the Levant. It would only make sense for them to have done the same—if on a smaller scale. That said, evidence does in fact exist for early camel domestication in the Levant. In their research, Ben-Yosef and Sapir-Hen attempt to explain away these discoveries as not conclusively proving camel domestication. Still, they are presented here for the reader to decide for himself or herself. A ration list was discovered in the northern Levant city of Alalakh, dating to c. 17th century b.c.e., documenting food rations to be given to animals in the city. 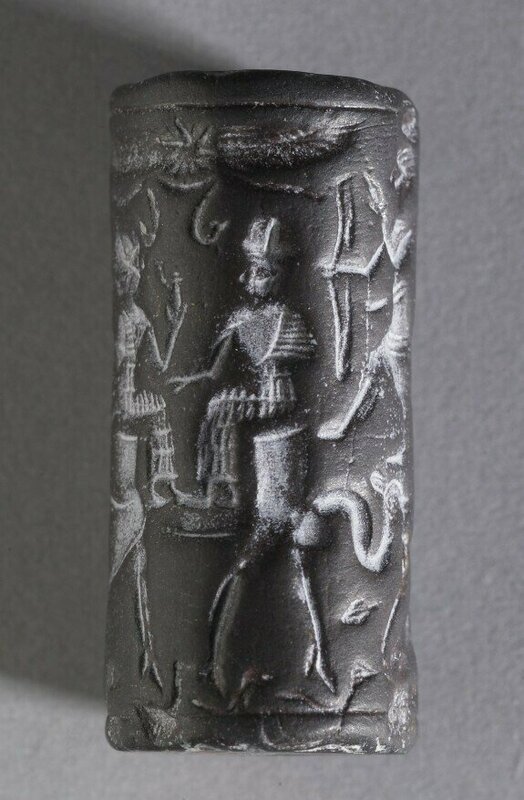 Within the text is the line, “One (measure of) fodder—camel.” Another item, a cylinder seal, depicts two riders on a camel. This seal dates c. 18th century b.c.e. The provenance of this seal is not absolutely certain, but it is reportedly from Syria, and certainly resembles parallel seals from the above-mentioned city of Alalakh. A small camel figurine was found in the Levant city of Byblos (Lebanon) dating to the 19th or 18th century b.c.e. This figurine is missing a hump and apparent load on its back, which had been originally fixed with a tenon. Further, a camel skull was found in a Canaanite tomb dating to c. 1700 b.c.e. Again, all add to the weight of evidence for the domestication of camels in the Levant during the patriarchal age. In this article, we have generally looked at the time period relating to the patriarchal age—the early second millennium b.c.e. Many more finds have been made relating to the last half of the second millennium. Given that the few biblical references to camels of this period—the time of the Exodus and Judges—apparently describe animals of non-Levantine origin anyway, such a continued analysis is not necessary here. Still, discoveries from this continuing period do provide further evidence of early camel domestication. More about them can be read here. Many an archaeologist’s—and scholar’s—career is built on undermining the accuracy of the Bible. Critics are quick to pillory the biblical account with any new piece of contrary “evidence”—without even considering what the biblical account actually says. Conclusions are based on mere assumptions of the biblical text. Certainly that is the case with Levantine camels. Because in actual fact, Ben-Yosef and Sapir-Hen’s findings help confirm the biblical account. How? The Bible contains extraordinarily little about camels, compared with other creatures—especially during the age of the patriarchs. Camels simply were not an important animal for the biblical Israelites, as opposed to other cultures. The finds in the Aravah Valley confirm this. And as stated above, the Aravah Valley findings likely provide further confirmation of the c. 930 b.c.e. Egyptian invasion of Shishak and his large Egyptian-African force (2 Chronicles 12), and their continuing influence in the area. These were a people already well familiar with the benefits of camel transportation. Further, given the extremely long distances from this mining region to the lands of Egypt, Ethiopia and Libya, it would only make sense for these conquerors to establish a camel supply chain to haul copper across the Sinai Peninsula and into Northern Africa. This would explain the “sudden” appearance of domesticated camels in the region. What animals were used before this flush of domesticated camels in the Aravah? Evidence shows donkeys were used to transport material to and from this region to the much closer city of Jerusalem. This was when the Aravah territory was firmly held in Israelite hands (2 Samuel 8:13-14) and when the temple was being constructed—requiring vast amounts of copper. Examination of donkey manure from this mining region indicated that their feed (of straw, hay and even grapes) originated from the area of Jerusalem. To make grandiose claims about a lack of camels in the early Aravah Valley proving the biblical account as false is deeply disingenuous. Because the findings, as usual, have only helped to confirm the biblical account. Most people simply do not know what the Bible actually says. They merely assume—they take it for granted. Such is the case with the false prophet Balaam. Such is the case with Joshua’s long day. Such is the case with the conquest of Canaan. Critics would do well to carefully read the scriptural account before making their case. 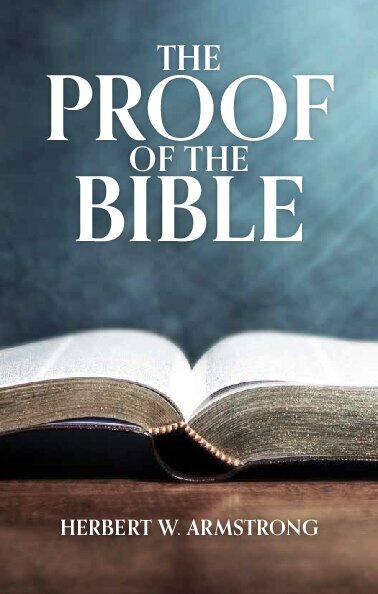 Click here to read or request a free copy of The Proof of the Bible. And so yet again, archaeology has proved the Bible accurate. In those cases where archaeology has purportedly “disproved” the Bible, it has really only disproved people’s misconceptions of the Bible. The Holy Scriptures have remained unchanged for millennia. Here again, it is not the Bible that must change to fit the evidence, but instead our scholarly, advanced, “enlightened” modern opinion. Camels do not disprove the Bible. They actually confirm it.